When you add photos to your layout in My Memories Suite, you have these photo shape options available in the control panel. But there is also other options that are really fun to use. 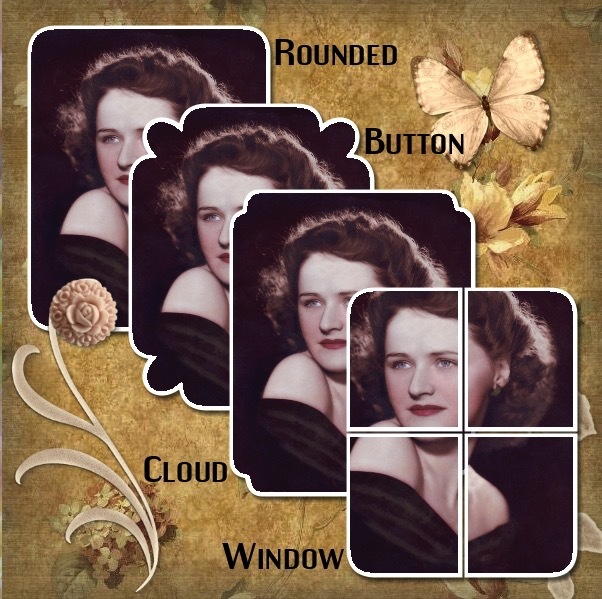 Left click on any photo in your layout and you are given more options - today we will talk about ‘Round Corners’. Clicking on ‘Round Corners’ is going to give you the option of ‘Corner Styles’. Default is ‘Rounded’ but use the little arrow to bring up all the options. You also have the option of ‘Radius’ (amount of the corner style you want on your photo). 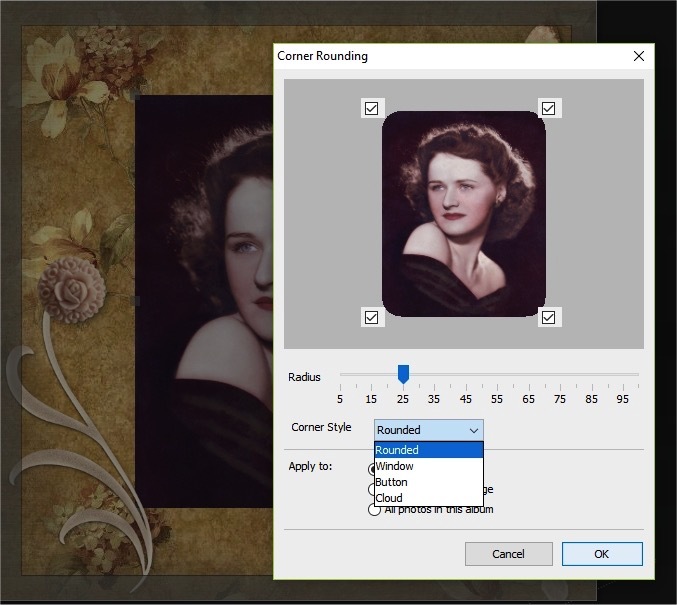 You can also choose how many corners you want styled by checking or unchecking each corner as shown in the photo below). 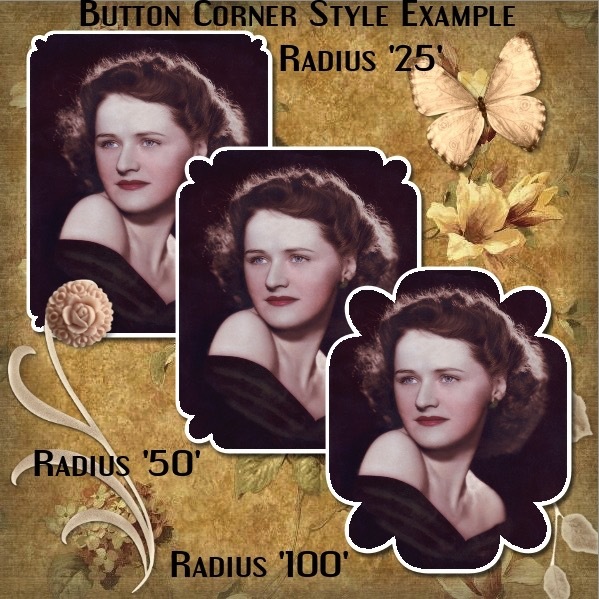 Here are examples of the 4 corner styles you can choose from. 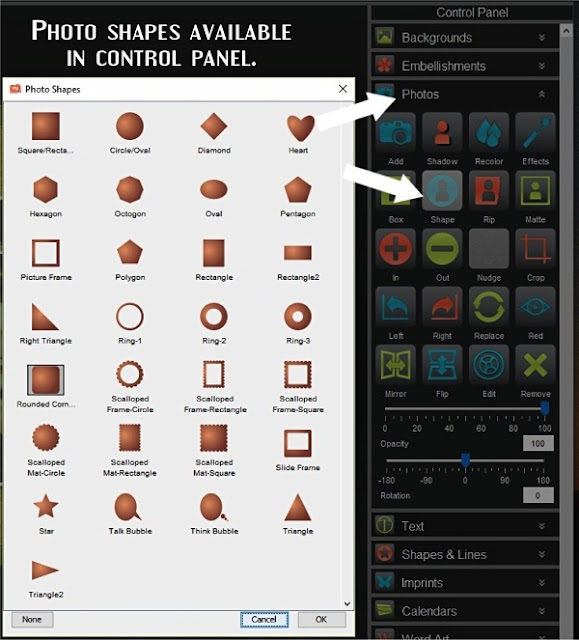 But using the ‘Radius’ slider you can change the look of all of these options. This is an example of the ‘Button’ corner style using different numbers on the radius slider. 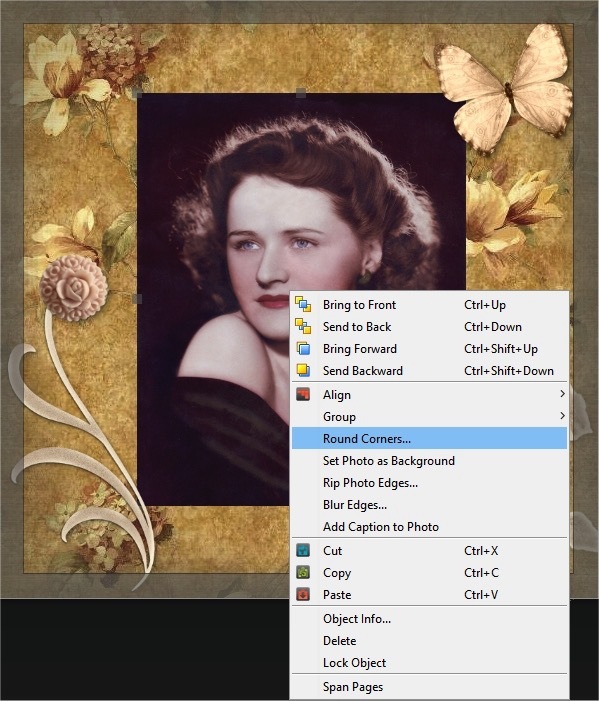 So have fun with Round Corners and change up your photo options! If you liked this tip, feel free to comment or come over to my Facebook page and tell me! Or better yet, show me a layout you did trying this tip! Don't miss my Black Friday week long sale ... 35% off everything until Nov 30th! Thank you! Can't wait to use this tool. I'm loving Memories v9. Upgraded from v5!! That is great! You will find a lot of new great things since v 5!